Commemoration of 100 year celebration, Prem Nazir on stamp.. In the celebration of 100 years of Indian cinema, Indian Postal department has issued the special stamps, which features many film legends from the Indian cinema. In this limited edition of stamps, Evergreen Malayalam actor Prem Nazir has been chosen from the Malayalam film world to be the part of this Stamps. stamps will go on the sale from month of June. The collections are printed in six sheets included of fifty stamps and the first two sheets comprise of nine stamps, who had won the Dada Sahab Phalke award. Next four sheets consist the other film legends from the Indian cinema, who have contributed their valuable to showcase the Indian cinema in the world map. 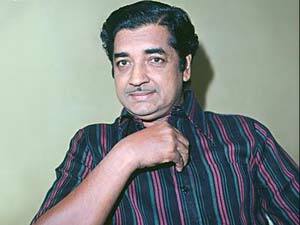 Prem Nazir, who had worked for over 36 years in the Malayalam cinema and amazed everyone with his longevity in the superstar status in the Malayalam cinema.